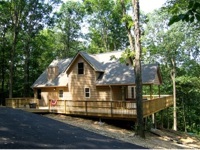 This light and airy cabin sits high on a hill overlooking the treetops. 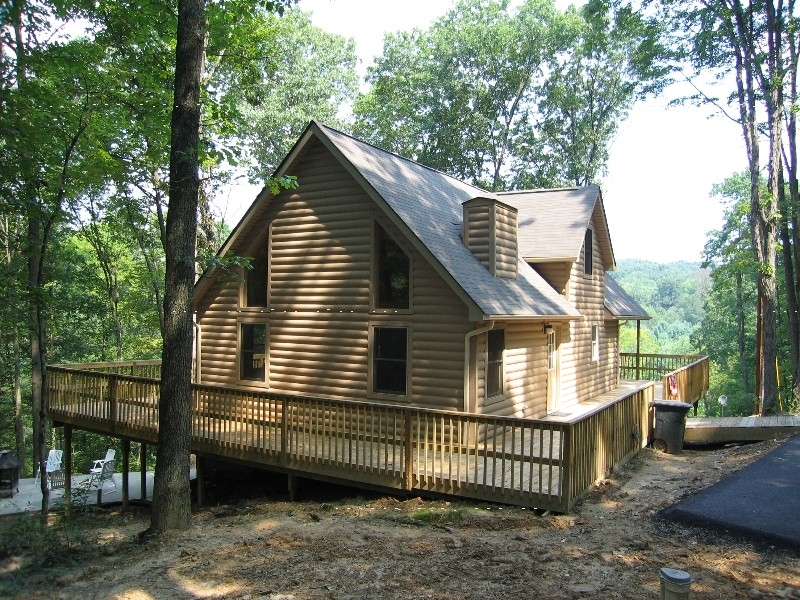 Sit out on two huge decks and enjoy the view from your hot tub, chairs or around the cozy firepit. 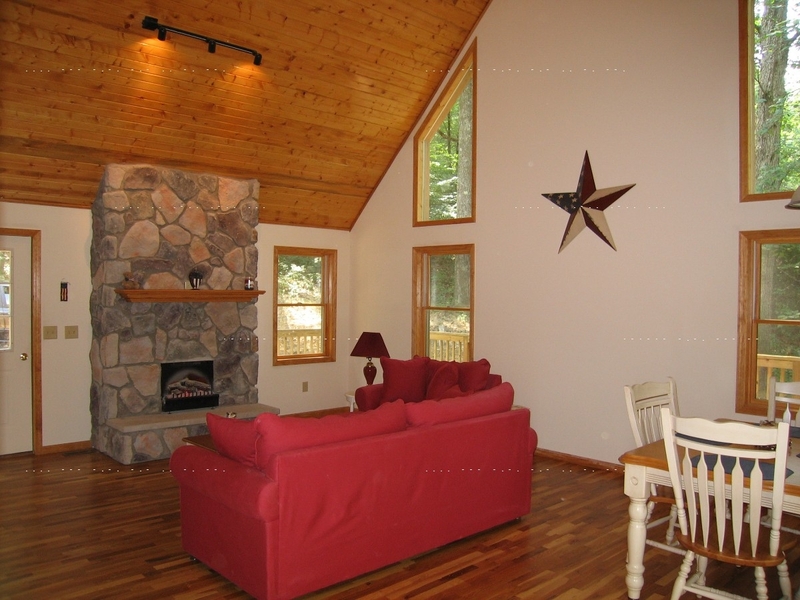 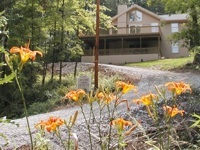 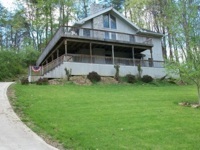 This cabin features 3 bedrooms, a pool table, laundry room and a huge lower level.